How do we define a musical masterpiece? I am listening to Mozart's Symphony No. 40 in G minor as I write this review. Many critics will hail this (along with No. 41) as the pinnacle of his genius and it is clearly one of the most brilliant pieces of music ever written. Too often reviewers force music into a singular stylistic expression, often referred to as genre. Then a musician or a group of musicians refuse to remain within the critically prescribed limits of the style in which they have been so inexpertly placed. 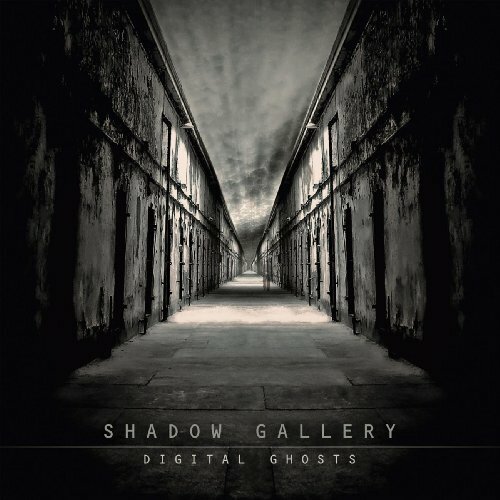 Shadow Gallery is one of these groups and Digital Ghosts is their Symphony No. 40. A great musical journey is like a boat ride on a river. You glide along, enter the rapids, hold on for dear life, the cliffs tower above you, the waves spill over onto your lap, and then you pass into a gentler current that carries you past vineyards, farms and small cottages that dot the landscape. You do not notice if you are wet or hungry, the river flows and you become one with the river. Digital Ghosts is a great river of music flowing onward and Shadow Gallery is the current that carries you along. When the album ends, you find yourself in a new place, deeply affected by your experience, eager for the next ride! As Mozart was deeply influenced by the contemporaries of his day, so is Shadow Gallery influenced by their contemporaries. Their musical influences reads like a Utopian festival of the greater and greatest bands of all time. Queen, YES, Pink Floyd, Brian Wilson, Supertramp, Kansas, Patrick Moraz, Metallica, Van Halen, Keith Jarret, Tangerine Dream are all on this stage. Mozart, Chopin, Lennon, and especially Mike Baker smile down from the heavens. Mike is all over this music- a ghost navigator on a wonderful river journey. No, this review isn't like the rest here.. I am denying you the pigeon hole. Shadow Gallery's music expands beyond metal and prog and neo and symphonic and becomes something greater than the pieces of prog standards that other reviewers require for musical legitimacy. Shadow Gallery is not influenced by Dream Theater and Symphony X, they are the influencer's- the pioneers of placing every note where it should be, every melody where it belongs, blending harmonies with emotion, words with effects- water and current, passage and scenery- this is a journey and Digital Ghosts is a great wonder in the musical world. Think about this- Shadow Gallery lost their singer, but he was never their voice- he was part of the greater whole and he is still a part of this masterpiece and Brian Ashland, a reluctant vocalist who prefers guitar becomes another part of the grand machinery- creating music that defines a genre by defying its boundaries, album after album- each a separate symphony- each a different river to journey upon. While all rivers share a common element, water, and a common direction, to the Sea and are alike in this way- so they are also each one different and unique. Digital Ghosts is the finest Shadow Gallery has ever created from the springs of their musical talent. They have reached their pinnacle. With Digital Ghosts, SG has created a symphony of movements, each song as beautiful and stunning as the next, beautiful to listen to from the beginning to the last fading drumbeat. Coldplay does not create like this. Linkin Park is a see-saw ride at best. Dream Theater repeatedly docks their boat so they can show you how great they can play. There is none of that nonsense here. Noodles? There are noodles in Campbell's Chicken soup but not in Digital Ghosts. Every note is where it belongs, placed with perfection, with the prefect touch of emotion to relay the desired meaning of each song. Sing along to the bawdy soldier's chorus in "With Honor". Get infected with "Venom" Feel the "Pain" of "Gold Dust", stand up "Strong" and then when you look behind you, you will see a shadow in the back of the boat, and "Digital Ghosts" are upon you, leaving you "Haunted". From their Molto Allegro of "With Honor" to the Allegro Assai of "Haunted", Shadow Gallery has brought us another great symphony for our time. Drop your swords of genre and shields of egocentricity and climb aboard...there is a great river to ride here.